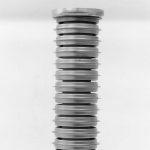 Insulating Support Posts - National Electrostatics Corp. 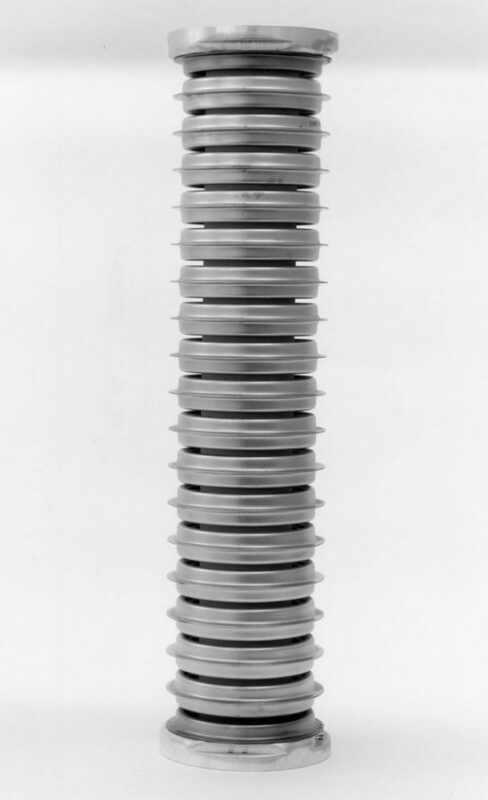 The NEC ceramic/titanium insulating support post is ideal for applications that require the holding of high voltage gradients while under significant compressive loads. 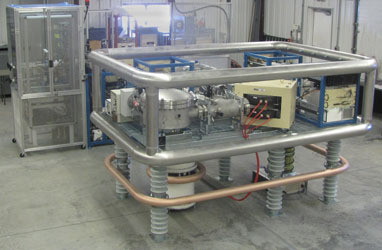 The NEC support post was developed as the basic structural support element for NEC electrostatic accelerators. It is used in vertical high voltage structures with potential ratings p to 25MV and horizontal structures with potential ratings up to 8MV. The support post is constructed of alumina ceramic bonded to titanium electrodes. These electrodes form torroidal spark gaps that completely protect the alumina ceramic during high voltage discharge. The spark gaps are designed for operation in 80 psig of SF6 insulating gas. The voltage rating is 1MV with the use of a potential grading system, which can be attached using available brackets. 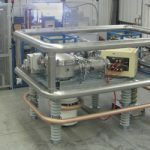 An open-air version of the support post is also available and has been in use on high voltage structures up to 500kV in ambient air. Please contact NEC for more information regarding this option.